Memory Logger is a simple tool for gathering information about a running process. Such things as memory usage, stdout and stack traces can be sampled, either on a single process or on multiple nodes in a job scheduling environment. Currently PBS is the only job scheduling system supported. 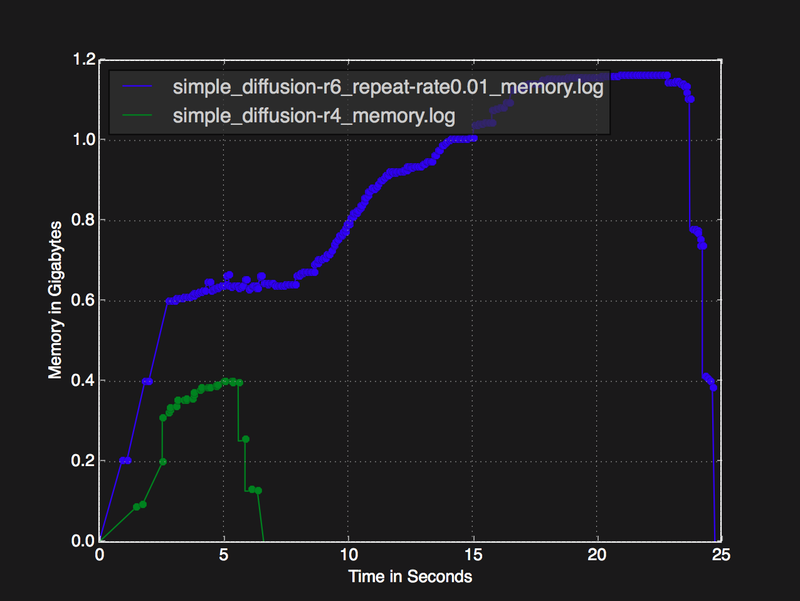 memory_logger.py --run "mpiexec -n 2 /absolute/path/to/moose_test-opt -i simple_diffusion.i -r 5"
a post processing technique on the log file itself. --run "mpiexec -n 2 /absolute/path/to/moose_test-opt -i simple_diffusion.i -r 5"
Okay... A bit too accurate, as several samples remained unchanged during tracking. However sometimes more is desirable, though just not printed in this fashion. For data dumps like this, using Matplotlib is far more efficient. 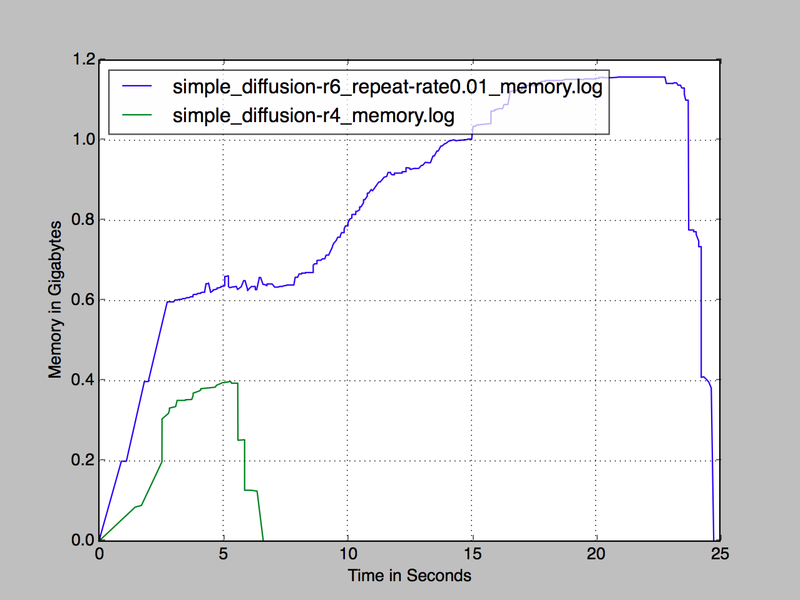 Figure 1: Example memory logger plot. We can render multiple logs simultaneously to allow an easy comparison. Memory Logger has the ability to track your processes across multiple nodes. In order for this to work correctly, we must launch an interactive job (qsub -I). The reason for this, is we can not have PBS launch a bunch of memory_loggers all in the same fashion... Instead we need one memory_logger, acting as the server, while a bunch of others acting as agents gathering data. The only thing we need to do is provide the –pbs argument. --run "mpiexec /absolute/path/to/moose_test-opt -i simple_diffusion.i -r 5"
When Memory Logger encounters a –pbs argument, it will look at the contents of your $PBS_NODEFILE, to determine what other machines will be used to process your job. Memory Logger will remote into these machines (SSH), and launch its own memory_logger process, instructing it, how to communicate back to the original memory_logger you launched interactively. Obtaining stack traces while tracking memory usage on a single machine or across PBS nodes is the key feature of this tool. In order to do so we need to supply an additional two arguments; --pstack and --debugger gdb|lldb. Memory Logger supports two debuggers for the purpose of obtaining a stack trace (gdb or lldb). The –pstack argument is used for both tracking and plotting. It tells Memory Logger to actually display stack trace information (if available in the log file).